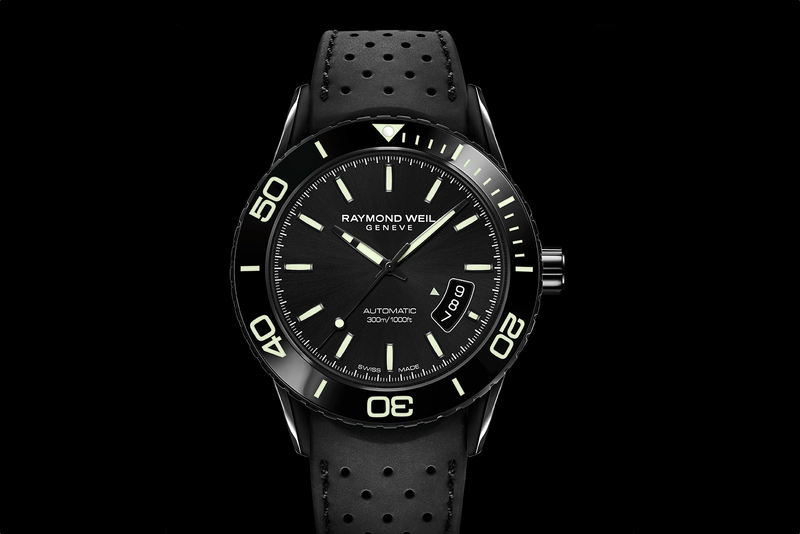 Raymond Weil introduced the Freelancer Urban Black at Baselworld last month. 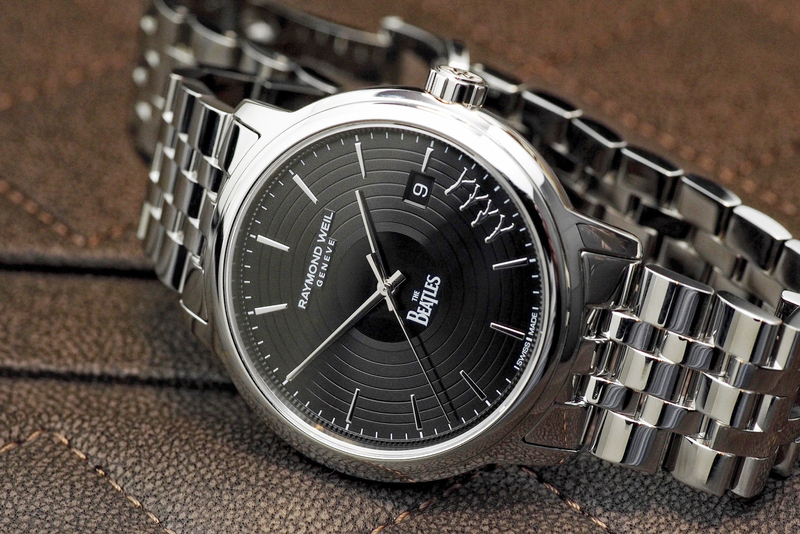 It features a matte black PVD treated stainless steel case. Notably, the black coating is not typical PVD, it is anti-fingerprint PVD. The case, bezel, and crown feature the special matte black PVD treatment. The case back has the same matte black finish and a black tinted sapphire crystal. The case measures 42 mm x 13.7 mm and has anti-glare treatment on both sides of the sapphire crystal. 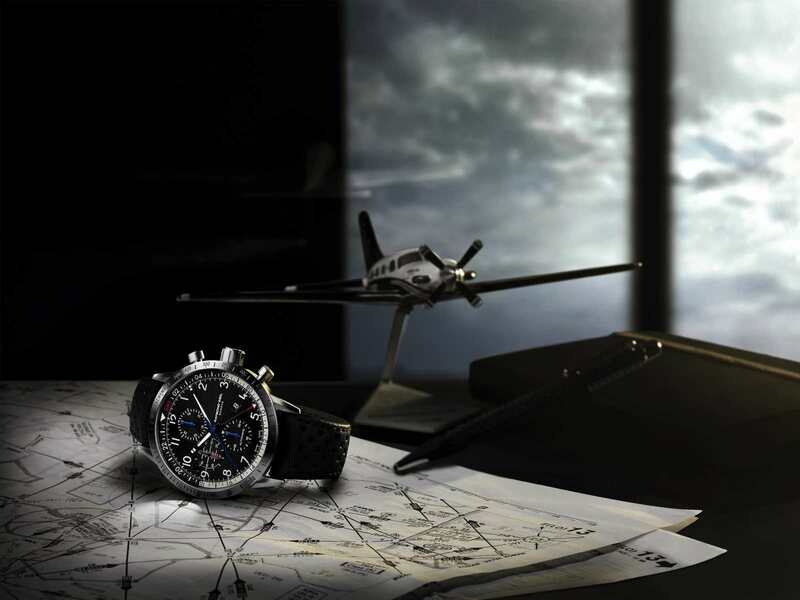 The self-winding chronograph movement has 25 jewels, a frequency of 28,800 vph (4Hz) and a power reserve of 46-hours. 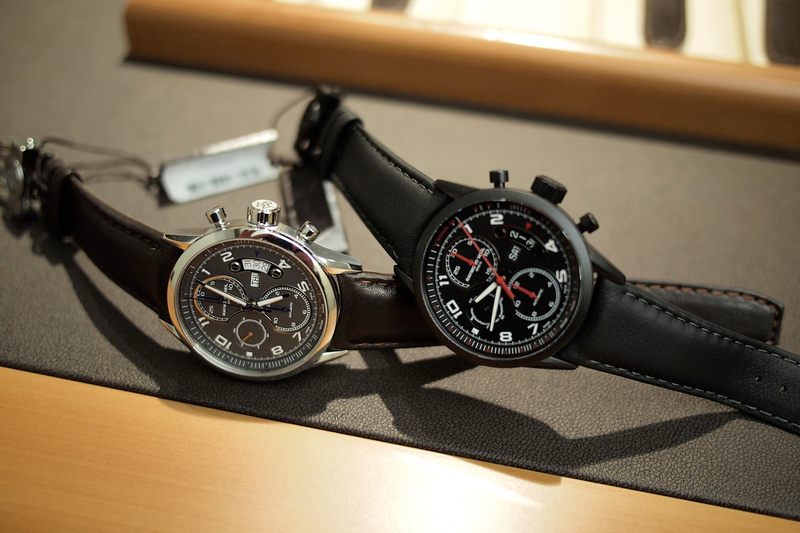 Functions include hours, minutes, small seconds, 3-day date/day and chronograph. The retail price is $3,250.